Dr. Francis Ngu of Parti Keadilan Rakyat, Sarawak. The government is urged to provide a realistic time frame to improve medical care services in the Sarawak. The proposed solutions to the bed shortages at SGH include the conversion of SIMC project to a public specialist hospital, and the approval of a second general hospital for Kuching. Proposal for a new specialist general hospital for Bandar Sri Aman, the provision of basic specialist services to certain Divisional and District Hospitals state-wide, and more, should be timely addressed as well . Both the Federal and State authorities are urged to be more earnestly and intensely engaged, to adopt a give-and-take approach for the sake of the suffering public, and to proceed with the needed planning with due haste. Parti Keadilan Rakyat in Sarawak has since the 2006 general elections highlighted the shortfall in medical care services in Sarawak. Two senior State Government leaders have in recent weeks been reported as having made some belated statements admitting short-falls in service at Kuching and Bandar Sri Aman. Regrettably however, the congestion and overload at the polyclinics in Kuching were not addressed by the Ministers concerned. In 2006, Parti Keadilan Rakyat had called for the planning of 3 new general hospitals and 3 new polyclinics before 2020 within the expanding Kuching metropolis. The subject is of some urgency in view of constant expression of public discontent with aspects of essential medical services. Longer term planning of the medical service based on population and burden-of-disease projections must replace the piece-meal laissez-faire approach. The long gestation period in the planning of a hospital, and anywhere from 5-15 years for project completion, makes a proactive approach all the more important. The shortage of hospital beds at SGH, which is a regional hospital catering for the whole of Sarawak and more, has been evident for some years. The severe congestion and long waiting times at some specialist clinics of SGH was also highlighted as far back as 2006. SGH is the hospital for Kuching too, but in a sense Kuching District does not have a general hospital almost exclusively for use by Kuching residents ! The fastest way to provide more hospital beds to Kuching, as we stated in the past, is to convert the RM 350 million failed Sarawak International Medical Centre project into a public hospital of 200-300 beds operated by the Federal Ministry of Health. Negotiations between the State and Federal sides were reported to have been initiated in mid-June, but it seems there are more complications to it than meet the eye; no report of progress made in the talks have been made public. Central to the apparent impasse is the quantum that the Federal side should reimburse the State side, and related matters of costing and finance. The Federal Health Minister was last reported to be favouring the option of taking out a lease of the SIMC infrastructure from the State side, to which option the Sarawak government has as yet to make a response. The final victim of the State-Federal tussle and indecision is none other than the suffering public of not only Kuching, but also patients referred to SGH from the whole of Sarawak who sometimes face unconscionable delays in appointments and urgently needed procedures. In the meantime, the building stock and equipment at the white-elephant SIMC face deterioration and possible obsolescence. Since the same political group BN controls both the Federal and State government, it would be ironical if a meaningful compromise between the two sides cannot be achieved soonest in the best public interest. Notwithstanding, we contend that the RM $350 million investment of State funds in the SIMC project must return public benefits, and SIMC should not continue to stand as a “white-elephant”! The public would not be impressed by the delay in decision making. They have as yet to be informed that conversion of the SIMC project into a government general hospital, once approved for funding, would take at least 2-3 years to complete. Concurrent with the negotiated conversion of SIMC project, planning for medical service improvement must also proceed for other areas of Sarawak, for which we have made an overview statement in 2008. It remains only to be said here that planning for another general hospital for greater Kuching at a separate site, and for a new specialist hospital for Bandar Sri Aman should proceed simultaneously. Fast–tracked budgetary approval should be given instead of the usual process, by which a new hospital will only come into service in 10-15 years ! ( By the usual budgetary process, a development project is put up for consideration in the next Malaysia Plan, 10MP, and building is likely to take place in the following Plan, 11MP). Thus State and Federal Governments should set a shorter time frame of say 7-8 years for new proposed hospital projects, reflecting government seriousness in addressing the needs deficit. The public has borne the hardships long enough ! Langkah pertama adalah dengan mengakui kekurangan dan mengambil langkah-langkah segera untuk memperbaikinya. Sebaiknya ia dilihat sebagai peluang yang akan melonjakkan kerjasama antara aktivis di serata Sarawak dengan menghasilkan cetusan sokongan rakyat yang meningkat pula. 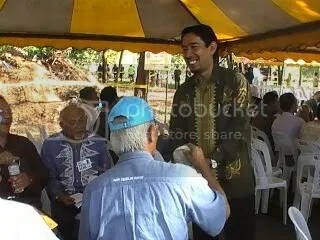 Tidak ada apa yang tidak boleh dilaksanakan dengan baik sekiranya wujudnya kebersamaan dan menjauhi sebarang bentuk politik durjana (gutter politics) yang tidak menguntungkan sama sekali parti dan usaha untuk mencapai cita-cita politik baru. Di antara ciri yang menjadikan rakyat mendekati KEADILAN adalah kerana sifatnya yang anjal (flexible) dalam menggarap dan memahami keperluan rakyat jelata. 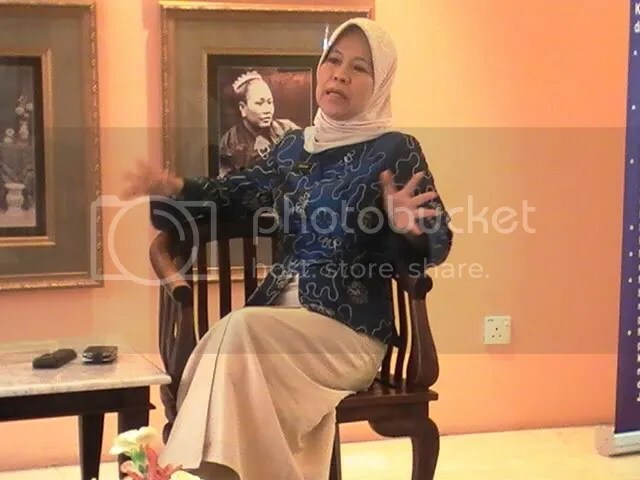 KEADILAN tidak terikat dengan mana-mana peraturan lama dan lapuk yang membawa mudharat dan yang meneruskan politik feudalistik yang sentiasa berhasrat mendominasi orang lain atau puak lain atau bangsa lain. “When I came home on nomination day, three young men came to beat me up to teach me a lesson,” tua kampung (village head) Ahmad Sahari said. “They came into my garden on two motorcycles and attacked me when I greeted them. They punched me and struck me with their helmets. “I was 68 years old at the time, but I used to teach ‘silat’ (Malay self-defence) and I was still strong,” Ahmad said, “so I fought them off. The young thugs didn’t expect me to be able to put up a fight. They climbed back onto their motorcycles and tried to escape. “I picked up a branch lying by the road and swung it at one rider as he sped past. He fell off, clambered back on in a hurry, and then all three rode away up there,” he gestured, pointing at the narrow gravel lane beside his wooden house. “I was left with a few cuts and a bruise on my head,” he said, pointing at his left temple. “But I think they were worse off than I was,” he laughed. “They were stupid young men. I knew who they were – they came from a kampung up the road. I know they were paid by the politicians to beat me up. Ahmad has always lived in Kampung Pandan, a small and neat fishing village. Almost 20 years later, now 86, he has long retired as headman, yet continues to command immense respect from the locals. Kampung Pandan lies by the South China Sea, at the foot of the majestic Gunung Gading, or Ivory Mountain, at the westernmost tip of Sarawak. The verandah of Ahmad’s old wooden house marks the edge of a broad, pristine beach. He looks out over his coffee every morning, at a view literally plucked off from a postcard – the beauty of the scene is a constant, serene joy, even to his old eyes. He was a fisherman until he was 75, pushing his own boat out to sea and mending his own nets. His smiling eyes remain clear and bright. He wheezes a little when he walks and is hard of hearing – but his memory for the historic events of his life, has never been blunted. Ahmad’s courage and generosity have made him many friends in Lundu. In 1990, he led 17 villages around Gunung Gading in a lopsided battle against a powerful logging company, Sanyan Timber – and won against the odds. Sanyan Timber had been awarded a logging concession on Gunung Gading, and contracted out the concession to Interhill Logging. In their eagerness for huge profits, loggers felled trees around the water catchment on the slopes of the mountain. The logging tracks stripped the soil of its fragile cover, and the water reservoir on the mountain silted up. The loggers also levelled large tracts of forest to reach timber they valued the most. Bulldozers destroyed ‘bystander’ trees in their wake, including ‘engkabang’ or ‘illipenut’ trees, prized by generations of villagers for their rich, oily nuts. 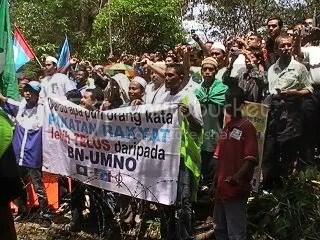 The communities at the foot of Gunung Gading – Malay, Selakau Bidayuh, Iban and Chinese – protested to the Forestry Department and District Office, but were ignored. They appealed to their local elected representatives, and even wrote to Abdul Taib Mahmud, the longest-serving chief minister in Malaysia’s history. But the villagers were never honoured with a reply. The 17 communities turned to opposition MP Sim Kwang Yang and community organiser, See Chee How, for help. MP Sim and See told the villagers that Sanyan Timber was owned in equal parts by three shareholders: a rich Chinese tycoon from distant Sibu and two brothers of the state minister in charge of land and forests – Taib Mahmud. The villagers were shocked to discover that part of the timber concession had been carved out of the existing Gunung Gading National Park. A quarter of the national park had been quietly awarded to Sanyan. The concession area was around 1,000 hectares, a tenth of the area of Petaling Jaya. The concession, approved in law by the land minister, and listed in the Sarawak Gazette, had allowed the company into protected forest. Logging had then encroached on the villages’ water catchment. This was no backyard “illegal logging” operation. One newspaper reporter called up Leo Chai, the state forestry director, and asked him how a huge chunk of the national park had been lost to a timber concessionaire. “Something went wrong,” Chai replied vaguely. He said instructions to award the concession had “come from higher up”, but declined to mention names. Gunung Gading became frontpage news in the Asian Wall Street Journal (AWSJ), thanks to Ahmad, Sim, and See. Articles by AWSJ writer Steve Duthie and Reuters journalist Leslie Lopez, threw a spotlight on the misshapen face of Sarawak’s political economy. Malaysia’s niche in the international timber market was at stake. Prime Minister Dr Mahathir Mohamad announced in Parliament that Sanyan’s licence had been suspended. The villagers of Gunung Gading had won an improbable respite. The timber company rolled up its mats, removed its heavy machinery, and left the Ivory Mountain. Today, two decades later, Ahmad’s village continues to use gravity-feed water. The water from the taps runs clear now, and the mountain remains forested. The largest flower in the world, Rafflesia tuan-mudae, blooms in Gunung Gading National Park, attracting throngs of tourists. Ahmad is proud to have been the village head. He likes to show visitors his official paraphernalia, including a diary from the 1980s, showing a photo of himself at a conference in Kuching. He points out pictures on the walls, depicting protected animal and plant species he helped to keep alive. The wiry old man is a civil servant, in the truest sense. Ahmad is cared for by his large family. He receives visits often from his younger brother, still fit at 80, and from his children and grandchildren. But he is less pleased by the loud weekend visitors from Kuching. The visitors drive their cars and motorcycles right up to the beach, parking in front of his verandah. A few of the visitors even ask Ahmad to leave when they walk through his garden, or use the tap beside his out-house to wash sand off their feet. Ahmad expects public decorum among unmarried visitors, and is unhappy when young couples clinch on the beach. But he wears his deep religious beliefs lightly. He holds them without anger, without venom. Like other Malays in Sarawak, Ahmad is courteous, and respectful of other Sarawakians, while he remains true to his religious upbringing. He enjoys an easy, open-handed friendship with people from other races: a relationship almost unimaginable in the toxic, bigoted atmosphere prevailing in Peninsular Malaysia. What options do Sarawak Malays have? The Malay dilemma in Sarawak is not the tawdry, cynical polemic of Mahathir’s minorpiece. Sarawak Malays’ dilemma is a real one. Sarawak’s Malays are a 20 percent minority in a society where every ethnic group is a minority. Many Sarawak Malays remain impoverished and neglected. Should Malays in Sarawak continue to vote for race, and for the promises of their current political masters? These rich political masters – Melanau, Malay or Chinese – may look different, but they are virtually indistinguishable from one another in their values. They promise development, but instead seize land from rural communities, pollute the water and poison race relations by their tactics of ‘divide and rule’. Should Malays in Sarawak vote for an alternative? What other options do they have? The DAP maintains a resolute image of being a champion of the urban Chinese and not of poor rural Malays or Dayaks. 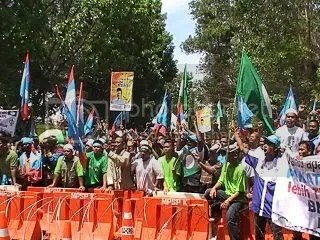 PKR has gained members in Sarawak, but does not enjoy the same grassroots support among Malays as in the west coast of Peninsular Malaysia – PKR efforts at community organising have been weak and fragmented..
Until some political movement can unite the rural poor, Sarawak continues to endure the paradox of beatings, pollution, land grabs – and a ‘fixed deposit’ of 30 seats in Parliament for Barisan Nasional. For tua kampung Ahmad Sahari, the choice has been clear. He sees no dilemma. KERUAH USIT is a human rights activist – anak Sarawak, bangsa Malaysia. His ‘The Antidote’ column, which appears in Malaysiakini every Wednesday, is an attempt to allow the voices of marginalised people to be heard all over Malaysia. The writer can be contacted at keruah_usit@yahoo.com. 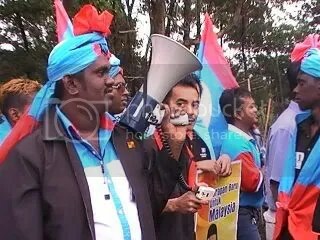 Why was KEADILAN defeated in Batang Ai? 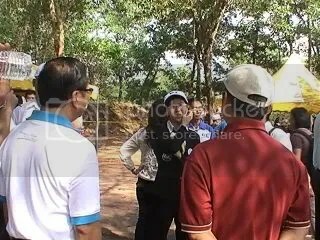 Kesemua proses penamaan calon di ketiga-tiga pilihan raya kecil Bukit Selambau, Bukit Gantang dan Batang Ai berlangsung dengan aman dan penyertaan rakyat yang ramai, khususnya para kehadiran dari penyokong pPakatan Rakyat – 10 ribu di Bukit Selambau, 60 ribu di Bukit Gantang dan 10 ribu di Batang Ai. 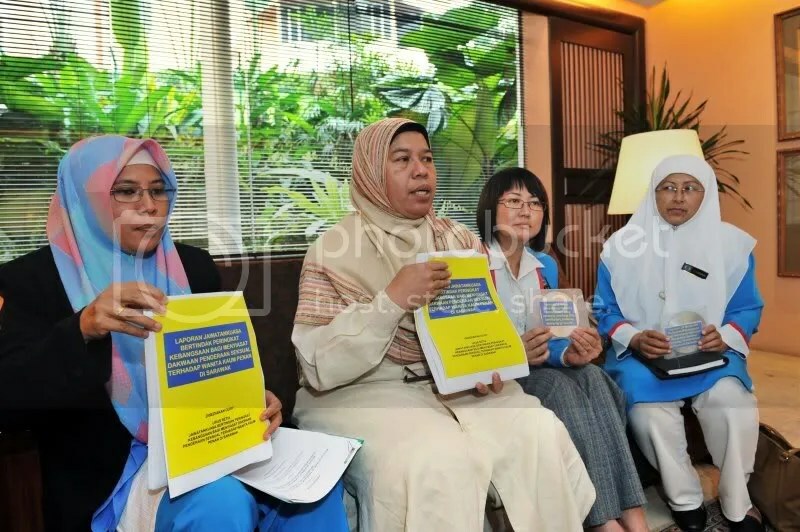 Pemimpin Wanita KEADILAN diwakili oleh Ketua Wanita, Zuraida Kamaruddin di Bukit Selambau, Timbalan Ketua Wanita di Bukit Gantang dan Naib Ketua Haniza Talha di Batang Ai. 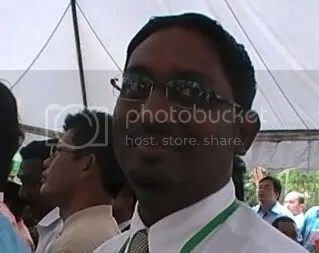 Harapan Pakatan Rakyat untuk memenangi ketiga-tiga kerusi adalah paling cerah di Bukit Gantang kerana faktor calon, isu semasa dan kepimpinan Mentri Besar Perak yang sah, Nizar Jamaluddin. 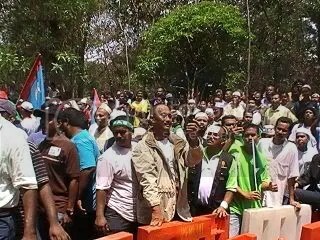 Bukit Selambau mencipta sejarah dengan 15 calon bertanding – 8 calon Melayu, 6 calon India dan seorang Cina. Dari perspektif taktik pilihanraya, ia suatu cara oleh lawan yang sudah tahu akan kalah tetapi melancarkan serangan seperti seorang pengecut – dengan menghalang dengan apa cara sekalipun untuk terjadi pertembungan satu lawan satu. Setiap satu calon akan memecahkan undi Pakatan Rakyat dan mengurangkan majoriti kemenangan. 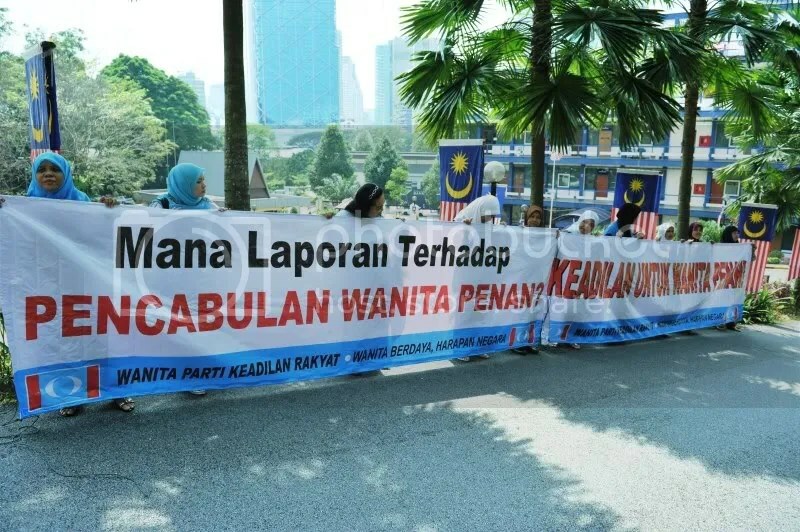 Petugas, Jentera Pilihan Raya Bukit Selambau, khususnya Pasukan WIN wanita KEADILAN mestilah menggandakan segala usaha dan tindakan bagi memastikan taktik kotor dan durjana Umno-BN gagal sama sekali untuk meraih kerusi Dun Bukit Selambau. 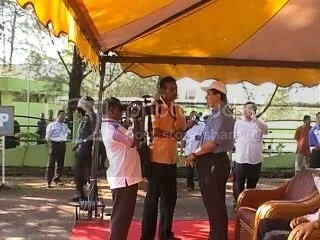 Batang Ai meriah dengan kehadiran Menteri Besar Selangor, Khalid Ibrahim dan 10 ribu ahli dan penyokong parti yang mengiringi calon Pakatan Rakyat, Jawah Gerang. Harapan kemenangan di Batang Ai cerah dengan permuafakatan yang wujud di kalangan semua jentera dan petugas Pilihan Raya Kecil Batang Ai. Kepimpinan yang berlandaskan kesejagatan dan musyawarah antara pemimpin dan pengikut akan menjadikan KEADILAN batang Ai sebuah entiti yang hormati oleh semua rakyat, bukan saja di Batang Ai tetapi di seluruh negara. Corak kepimpinan sedemikian di Batang Ai, dalam rangka memenangi kerusi Batang Ai menandakan kemaraan politik baru Sarawak yang akan menjadi contoh ikutan, khususnya di Sarawak dan Sabah dan amnya oleh semua di Malaysia. Ousted Perak Menteri Besar Mohd Nizar Jamaluddin’s candidacy for the Bukit Gantang by-election caught many political observers by surprise. After all, PAS has a large pool of talent that it could have fielded and Mohd Nizar already has his hands full trying to wrest the state government back from Barisan Nasional. For Mohd Nizar, the answer was simple: “This is no mere by-election”. 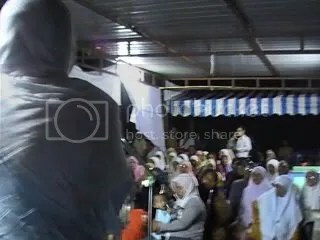 In an interview with Malaysiakini at his rented bungalow in Ipoh last Wednesday, Mohd Nizar revealed that the party was looking beyond the turmoil in Perak and was taking a direct aim at BN in Putrajaya. “PAS leadership does not see Bukit Gantang as just a by-election. It is looking at Bukit Gantang as a platform for political change in Malaysia,” he said. Many observers and Pakatan Rakyat leaders have painted the Bukit Gantang contest as a referendum on the controversial BN takeover of the Perak government nearly two months ago. BN has much to lose in this contest as a defeat would allow its opponents to cast doubt on the legitimacy of the state government, formed after three Pakatan state representatives defected. Kampar-born Mohd Nizar, 52, was nominated as the party candidate for the Bukit Gantang seat, which was declared vacant after the demise of PAS’ parliamentarian Roslan Shaharum on Feb 9. 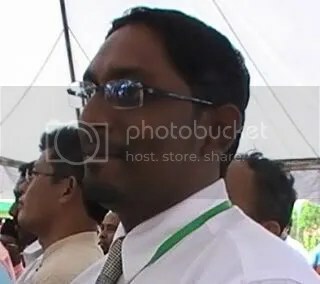 He is facing BN’s Ismail Saffian, 49, a local born, and little-known independent candidate Kamarul Ramizu Idris, 42. According to Mohd Nizar, his nomination came as a surprise to him as his name was not even on the list of potential candidates. “They made a last-minute decision. (But) it is not unusual for PAS,” revealed Mohd Nizar, citing a similar case during the Kuala Terengganu where Abdul Wahid Endut was made candidate at the 11th hour. The decision was made at a high-level party meeting to discuss the candidates on March 10 in Ayer Kuning, Changkat Jering. Mohd Nizar, who was supposed to attend the meeting, did not make it as he was at the Federal Court in Kuala Lumpur for his suit against Perak Menteri Besar Zambry Abd Kadir. “By the time I arrived in Ayer Kuning where the meeting was held, I was embraced by all the leaders… They said that after four hours of discussion they agreed to make me the candidate. “I said I’d have to accept it (as) they had four hours of discussion…,” he said. The PAS leader added that he was picked ahead a candidate with more religious credentials, because the party wanted portray a contemporary image. “Traditionally, if the place is religious-inclined, then PAS will field a religious character. (My candidacy) shows the ability of PAS leadership to change,” said Mohd Nizar, who is a successful engineer prior to full-time politics. 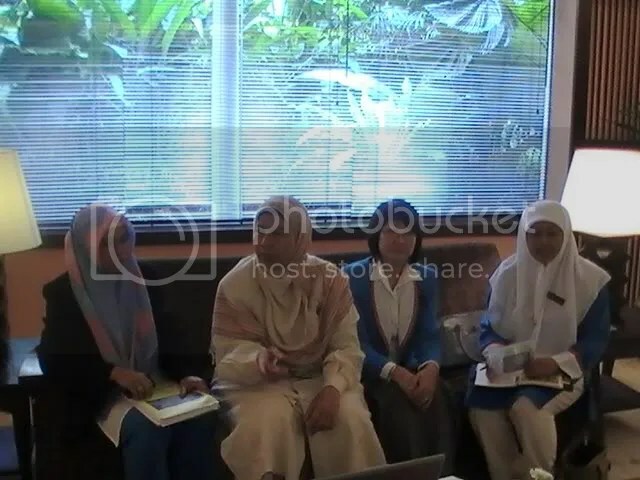 However, Mohd Nizar pointed out that the Malays from the Bukit Gantang constituency – an area with a high concentration of religious schools – would desire a candidate with strong Islamic credentials. He conceded that central working committee member Idris Ahmad, a religious scholar born in Bukit Gantang, was the front-runner for the seat but the party nevertheless took into account of the current mood of Perak people. 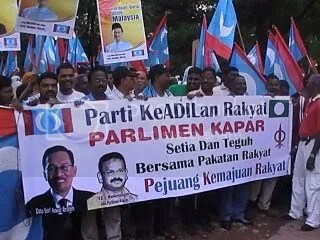 “After the upheaval, turmoil and coup d’etat, Perakians feel ripped off of their rights. This is a feeling shared by all Malaysians,” he said. With Mohd Nizar as the candidate, the party is taking a calculated risk, which it hopes to offset by cashing in on the performance of the PAS-led state administration over the past 11 months.